Orlando Julius Ekemode (pictured above), O.J. 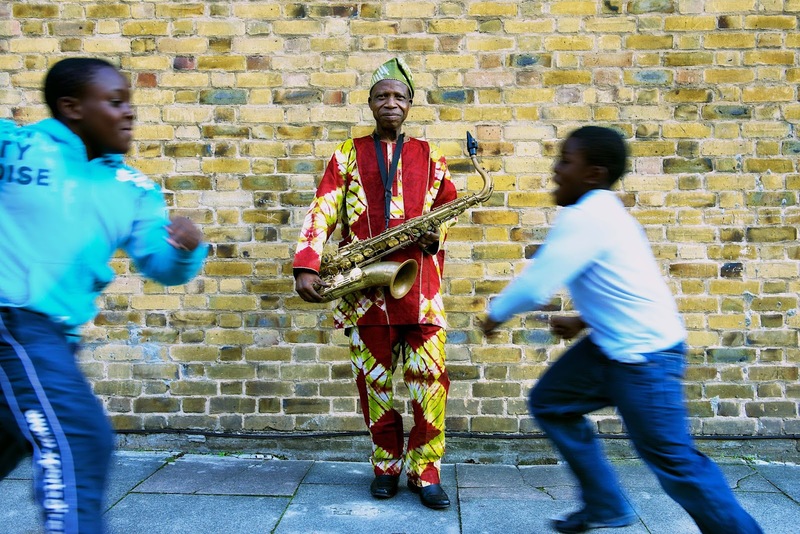 to his friends, is one of the overlooked pioneers of Afrobeat; his 1960s Nigerian bands the Modern Aces and the Afro Sounders paved the way for Fela Kuti's sound. Now O.J. is back, collaborating with the thoroughly uncategorizable London collective The Heliocentrics on a new recording -- you'll hear a track from it on this week's program. Also this week: of Scotland and pirates, acid trip from Banjul to Dakar, and Light In The Attic releases Tinariwen's first two Western albums for the first time on vinyl.